October 2, 6:00 pm, Board Meeting — Meetings are open to the public. October 6, 9:15 am, Story Time – Stories, a craft, and a bit of running around. Everyone is welcome. October 6, 10 am – noon, Coffee Hour – Join us for a cup of coffee or tea, a sweet or two and good conversation. Suitable for all ages! October 6, 6:00 pm, Family Movie – “Paddington” – Enjoy some cocoa, popcorn and a great movie. PJs optional. All children must be accompanied by an adult. Rated PG. October 7, 8:30 am, Collaborator’s Meeting – The Collaborator’s is a group who meet every other month to discuss / help organizations in Peacham. Please join us as we help each other and the community. October 8, 2:00pm – 4:00pm – Fiber Fest – Celebrate National Spinning and Weaving week by learning a weaving technique – simple, hand-held methods of weaving will be available to try. October 9 , 6:30 pm, Peacham Knitters and Puzzlers — Bring your knitting or other handwork for an evening of creativity and chatting. Or work on the current jigsaw puzzle. October 11, 5:30 – 6:30 pm, Introduction to Yoga – Continuation of an introduction to basic yoga poses, breathing and meditation with instructor Kalanani Gallas. There is a fee. October 11, 7:00pm – Great Decisions –Worried about the state of the world? The prospect of nuclear weapons and materials falling into the wrong hands? Peacham Library will host Great Decisions in Foreign Policy, a discussion program focusing on the most critical global issues facing America today. Each topic is presented in a half-hour documentary, and then thrown open for a moderated hour-long discussion. Our first topic will be Nuclear Security. October 13, 10 am – noon, Coffee Hour – Join us for a cup of coffee or tea, a sweet or two and good conversation. Suitable for all ages! October 17 7:00pm – Travel Series – Locations and travels to be announced, or not, ahead of time. Rest assured each evening will bring you to another place and time. September 26, 6:30 pm, Peacham Knitters and Puzzlers – Bring your knitting or other handwork for an evening of creativity and chatting. Or work on the current jigsaw puzzle. 6:30pm, Free Movie –A film made in Peacham “The Spitfire Grill” starring Ellen Burstyn and our beautiful town. Do you recognize all the locations? September 30, 10 am – noon — Coffee Hour — Join us for a cup of coffee or tea, a sweet or two and good conversation. Suitable for all ages! October 1, 9:00 am, Breakfast Movie – Bring your breakfast and enjoy a movie! We’ll be showing “Hotel Transylvania” and will provide the orange juice. Peacham Café, right across the street, will be open, so why not pick something up there and bring it over to eat while you watch the movie? Rated PG. Children under 10 must come with a parent or guardian. October 1, 10:30am – noon – Fiber Fest – Celebrate National Spinning and Weaving week by learning a weaving technique – kumihimo, ply-split braiding, weaving on a CD and other simple, hand-held methods of weaving will be taught. October 3, 6:00 pm, Board Meeting – Meetings are open to the public. October 7, 9:15am, Story Time – Stories and activities for the young at heart. October 7 OR 8, after dark, International Observe the Moon Night — Peacham Library and Northeast Kingdom Astronomy Foundation invite you to join us for International Observe the Moon Night, a worldwide celebration of our nearest neighbor, the Moon! NOTE: Date and time may change depending on weather; please check www.nkaf.org or www.peachamlibrary.org and the library throughout the week to be sure you come on the right day! Held at the observatory. October 8, 1-3pm, Herb Club – Learn about the benefits of herbs in your life. Herb Club is free and open to everyone. No experience necessary. October 9, 4-6pm, Artist’s Reception – A new show by Cecelia Kane. September 12, 6:30 pm, Peacham Knitters and Puzzlers – Bring your knitting or other handwork for an evening of creativity and chatting. Or work on the current jigsaw puzzle. September 12, 7:00 pm, Board Meeting – Meetings are open to the public. September 14, 12 noon, Friends of Peacham Library – Help the Friends plan and carry out fundraising events in support of the library. September 15, 7:00 pm, Readers’ Delight –This month’s book is Evicted: Poverty and Profit in the American City by Matthew Desmond. The October book will be Second Watch by J.A. Jance. Contact the library if you would like a copy of either book. September 16, 10 am – noon — Coffee Hour — Join us for a cup of coffee or tea, a sweet or two and good conversation. Suitable for all ages! September 23, 10 am – noon — Coffee Hour — Join us for a cup of coffee or tea, a sweet or two and good conversation. Suitable for all ages! September 23, 6:00pm – Game Night and Potluck Dinner– Start your weekend off with a potluck of Food and Games. Bring your favorites of both to share with others. July 4, 9:00 am – 3:00 pm – Book Sale – The book room downstairs will be open for sales. The rest of the library will be closed for the holiday. July 6, 7:00 pm, The Natural (and Unnatural) History of the Common Loon: from territorial takeovers and sibling rivalry to mercury laziness and satellite tracking — Eric Hanson, the Vermont Loon Conservation Project (VLCP) Biologist, will share his work with and on loons. July 7, 6:30pm, Herb Club — Taste a bit of tea and talk about St. Johnswort, an herb that has been used for centuries to treat depression, anxiety, and nerve pain/trauma such as burns. A mini herb walk will follow. July 8, 10 am – noon — Coffee Hour — Join us for a cup of coffee or tea, a sweet or two and good conversation. Suitable for all ages! July 11, 6:30 pm, Annual Meeting — The library’s 206th annual meeting! You, our members, elect the board and the officers. Stay for the grand opening at 7:00pm. July 11, 7:00 pm, Grand Opening of the library’s Community Center — Join us for the Grand Opening of our newly renovated ground floor space – Peacham Library’s Community Center. This project was supported by the Vermont Arts Council and the State of Vermont, Passumpsic Savings Bank, Larabee’s Building Supply, Valley Floors, Rusty Barber, Allen Thresher, Tim McKay and members or our community. Thank you. July 14, 7:00 pm, Summer Series – Slow Travel with Tim McKay – “Skiing Hut to Hut” – Backcountry skiing in Quebec, Maine and Colorado. July 15, 10 am – noon — Coffee Hour — Join us for a cup of coffee or tea, a sweet or two and good conversation. Suitable for all ages! July 19, 1:15pm, Tuesday Theatre – In keeping with the summer reading theme of “On your marks, get set, READ!” and the summer Olympics, we present “Race,” the true story of Olympic legend Jesse Owens. July 21, 7:00 pm, Readers’ Delight – This month’s book is The Year of Wonders by Geraldine Brooks. 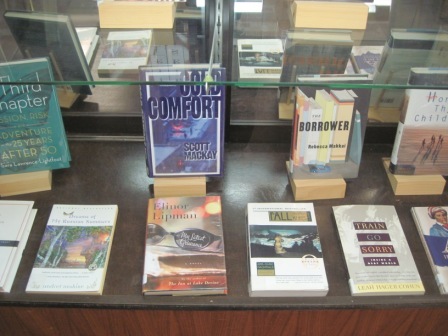 Books are available at the library if you would like to join the discussion. 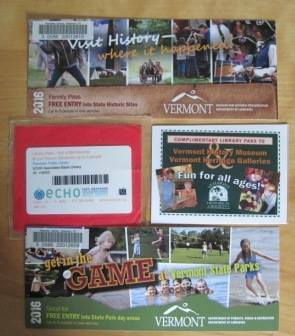 Did you know you can borrow a Vermont State Park Pass, a Vermont State Historical Museum Pass, an Echo Museum Pass, a Vermont Historical Society Museum Pass and an American Precision Museum Pass from the library. Each pass goes out for a week at a time. June 27 – July 1, 9:30 – 11:00am – Summer Reading – Ready, Set Read “Camp” – All things that require you to “get ready,” “set” and read / fly / experiment / play / make. At the town gym. July 1, 10 am – noon — Coffee Hour — Join us for a cup of coffee or tea, a sweet or two and good conversation. Suitable for all ages! July 2, 10:00 am, Story Time – Stories and activities for the young at heart. 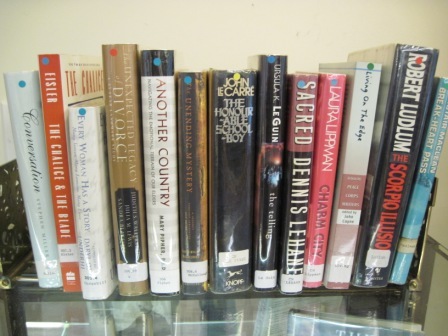 July 4, 9:00 am – 3:00 pm – Book Sale – The book room downstairs will be open for sales. The rest of the library will be closed. July 15, 10 am – noon — Coffee Hour — Join us for a cup of coffee or tea, a sweet or two and good conversation. Suitabl e for all ages! 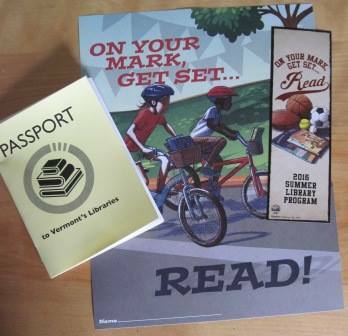 Passport to Vermont Libraries Program — Pick up a passport and start visiting libraries throughout Vermont. More details can be found at https://www.facebook.com/vermontpassport. February 22, 6:30 pm, Peacham Knitters and Puzzlers— Bring your knitting or other handwork for an evening of creativity and chatting. Or work on the current jigsaw puzzle. February 26, 10am-noon, Coffee Hour – join us for a cup of coffee or tea, a sweet or two and good conversation. Suitable for all ages!. February 27, 11:00 am – ? – Winter Carnival Chili sale – The library will sell chili, cornbread and hot chocolate during the Winter Carnival celebrations. The library will open at 10am as usual with chili sales starting around 11am. The library will remain open until the chili is gone. March 1, TOWN MEETING – The library will open after the conclusion of Town Meeting. March 3, 12 noon, Lunch Talk — Help at Home with NEK Council on Aging — Heidi Baker from the NEK Council on Aging’s returns for another lunch talk on issues relevant to elders and their caregivers.. This program compliments the work SASH has begun in Peacham. Open to all; soup and bread will be served. March 4, 10am-noon, Coffee Hour – join us for a cup of coffee or tea, a sweet or two and good conversation. Suitable for all ages! March 5, 10:00 am, Story Time – Stories and activities for the young at heart. The renovation project is moving forward! The first step was the landscaping / drainage work accomplished this last fall. The second stop was accomplished last weekend — moving all of the sale books downstairs into one room onto nice blue shelves. Drop by to see the new sale room and maybe buy a book or two! If you are interested in purchasing a refrigerator / freezer, rear-projection TV, or a stove / oven, contact the library — we will be selling these at quite reasonable prices, with all proceeds going to the renovation project. January 19, 1:15 pm, Tuesday Theatre – Mr. Deeds, a small-town, Vermont tuba player, inherits $20 million only to find himself the target of ruthless businessmen, relatives and other ne’er-do-wells. Garry Cooper stars in this Frank Capra film about Mr. Deeds going to town. January 21, 7:00pm, Readers’ Delight – The Martian, by Andy Weir is this month’s book. The February book will be American Nations by Colin Woodard. Contact the library if you would like to borrow either book. January 22 10am-noon, Coffee Hour – join us for a cup of coffee or tea, a sweet or two and good conversation. Suitable for all ages! 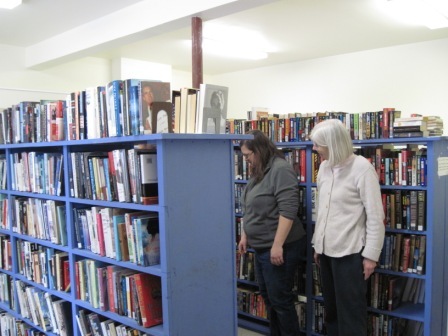 January 23, 9am – 3pm – Clearance Book Sale – Take advantage of the lowest prices ever in the book sale as we make room for future renovations. Books will sell at $5 / bag or as individually priced. January 25, 6:30 pm, Peacham Knitters and Puzzlers— Bring your knitting or other handwork for an evening of creativity and chatting. Or work on the current jigsaw puzzle. January 29, 10am-noon, Coffee Hour – join us for a cup of coffee or tea, a sweet or two and good conversation. Suitable for all ages! February 6, 7:00 – 9:00 pm, Community Coffeehouse – Fifth Business is back for another set at the Community Coffeehouse. There will be an open mike after their set. 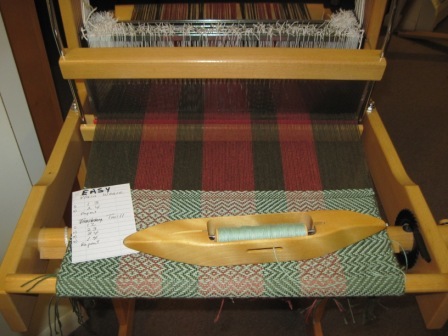 As part of the current Gilmore Gallery exhibit, there is now a loom available for you to try your hand at weaving! 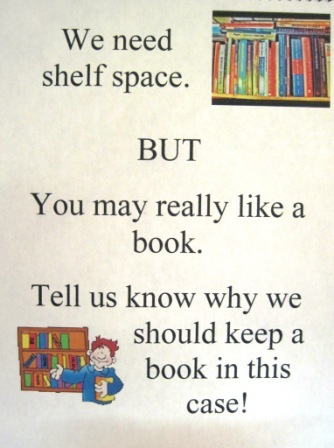 The librarians will help get you started. The cloth woven by the community will be used to make towels for the library’s kitchen.